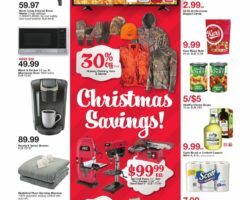 Bi Mart Weekly Ad & Sales. Check out this week BiMart Ad sale prices, printable coupons, current circular savings and latest specials. 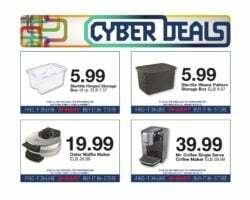 Bi Mart is a department store that sells everything from cosmetics and baby diapers to microwaves and televisions, providing low prices every day and a variety of savings with Cyber Deals and weekly specials. They carry kitchenware, craft supplies, paint and items for sports and outdoor activities such as camping, fishing and hunting. Bi Mart pharmacy services include prescriptions refill, consultations about prescriptions and over the counter medication, certified immunizations and online refill service. Customers who sign up for the Bi-Mart Membership Advantage Prescription Pricing Program enjoy more savings and lower prices for generic drugs, starting at $3.99. Bi Mart pharmacies accept Health Savings Card that include prescriptions, deductibles, co-payments, and over-the counter medication. Stores have great deals for everything they sell and with the coupon book deals, savings add up to much more than when shopping at competitors. Bi Mart discounts televisions by hundreds of dollars and provides 50% off savings on storage items, pet products and personal care on a regular basis.